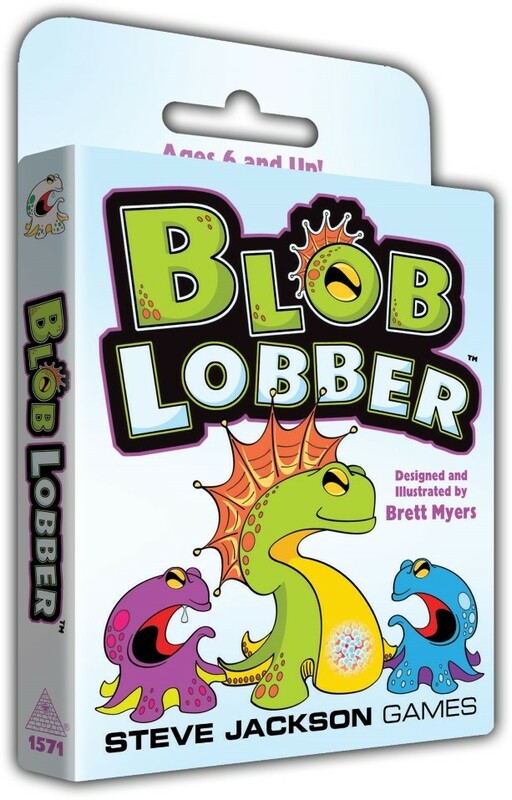 Blob Lobber is a fast-paced card game for 2 to 4 players where players take turns flinging Blob cards. If your card lands with a Bomb showing, you claim all the enemy Blobs beneath it . . . but if more Blobs turn up, your opponents may be able to Bomb more Blobs than you! Grab your friends and lob some cards!